Spring steel wire and rolled cardboard create an irresistible lure for cats and great fun for you. It reminds your cat of its favourite things, like birds and scampering mice. 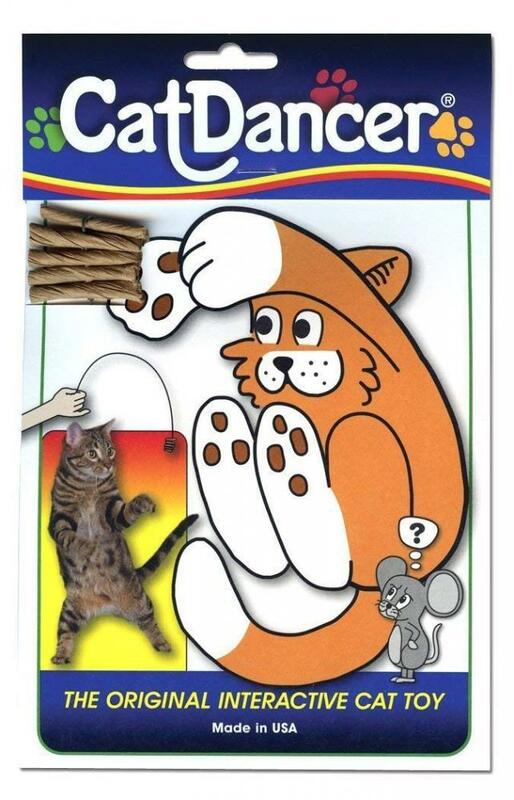 The Cat Dancer is an inexpensive, remarkably simple, and completely irresistible cat toy. The Cat Dancer is a length of springy wire (no sharp ends!) with small rolls of cardboard to swat on the end. The Cat Dancer is the perfect toy to keep by your couch or easy chair, and is so light-weight (under one ounce) it's safe for kittens and older cats too. There are currently no questions for Cat Dancer Cat Toy - be the first to ask one!